So, I’m going to be away for just over a week. I’m going to Turkey for a family holiday with little to no internet access – and no laptop, either. I’m going to be continuing reading while I’m away, though, and will be posting my reviews when I get back. I apologise in advance if you then get a whole lot of posts/e-mails come through. Centuries in the future, people with paranormal abilities have taken over and are in control of the government and the people. Although their leadership started off as good (or at least neutral), power corrupts… and with no threat to fight against, the paranormal leaders have created what amounts to little more than a prison. ART (Advanced Resistance Technology) was created to be a walking computer by the leader of the Resistance. After his maker’s death, however, ART began to evolve, becoming a true A.I. and moving past his programming to become the new leader of the Resistance. Viper is one of the paranormal leaders, born with an affinity for snakes, but also with other powers of destruction. When ART leads the Resistance against their leaders, he faces off against Viper, who attacks him – but instead of killing him, the blast of her energy sends him back into her own timeline – before she became Viper… and while the good paranormals still lived. If anyone is still interested in reading The Voice in the Dark… I have fallen behind a bit with it. Currently, I’m of two minds whether to continue or not. It would be good to know if anyone would like to see it continued – if even one person wants to find out how it ends, I can probably take inspiration from that. You don’t have to write a lot, but if you are interested in seeing it continued, all you really have to do is say yes. 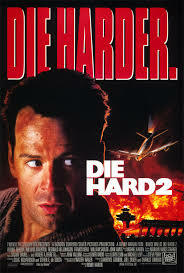 I’ve seen a few of the Die Hard films and I had seen Die Hard 2 before, though the only things I could have really said about it are that Bruce Willis is in it, it’s about planes being endangered, and that I’ve definitely seen the first and most recent of the film series. This was quite a good action/adventure film. I had a few moments where I found lines familiar, but most of what happened still caught me by surprise. 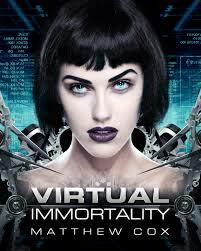 Although much of this film probably wasn’t very believable, I did still find it entertaining to watch. Apart from Bruce Willis, there were other actors I recognised in the film. I think most of them did a good job as the characters they played. There were quite a few moments in the film where I found myself quite tense. There were lots of explosions and a lot of violence, but Bruce Willis is quite good as the character he plays and I liked the hints of his relationship with his wife. There are some twists and turns in this film, too, and I would recommend it as one to watch if you like action/adventure – though it might be better to watch the first Die Hard film beforehand. When I downloaded this book from NetGalley, I couldn’t actually tell what it was about. (Apparently, it still hasn’t occurred to me to cross-check on here…) But I was intrigued by the front cover of this book. It’s one of the more appealing ones I’ve seen. I was able to empathise with Allie fairly quickly, apart from that, though. She was well-rounded and her struggles to deal with separated parents really resonated with me. Plus, I really liked how her relationship with Nick developed over the course of the book. I felt that was one of the strongest aspects. Aaron and Brooke did confuse me a little at the beginning. I wasn’t clear on how Brooke knew Allie and I think I would have liked to see something of their first meeting. Plus… the love triangle thing really didn’t sit right with me. In a way, it felt forced. I liked Damien as a character and it was really good to see the whole mystery surrounding him. I felt there was some good use of foreshadowing through the book, though there were one or two scenes I felt weren’t necessary and didn’t add a great deal to the story. Towards the end of the book, I did find it more intense, though I felt that switching to Damien’s POV didn’t really work and jarred me out of the story. I did like the ending of this book and I did think it all really worked well by the end. I think I would probably be interested in reading the next book in this series sometime in the future. I did enjoy it and it was a really entertaining read. I did find this book to be quite an entertaining, fast read. It took me a little while to truly get into George’s head, but as the book progressed, I did manage to get more into it. The dragons angle was quite a good one, though I was a bit disappointed not to see anything of one of the main characters. I did like George’s friendship with Marcus – which I think is the right spelling, but the book’s upstairs and I’m downstairs, so I can’t check. I liked the fact that there were the two different adventures running parallel to each other. There were some things that surprised me about the motivations of the characters and what was revealed about them. I did like Augustus by the end of the book. Brenus was quite an intriguing character, too. I did think that the language was a bit too modern at times. (The word ‘okay’ was used a lot), but for the most part, it did make me feel like I was back in Ancient Rome. I did notice a few errors in the writing, but nothing really major. I also really liked the glimpses of Arthur. I would have liked to see more of him. I think I’d definitely be interested in reading other books in this series sometime in the future. So, I went to see this film today with my brother. It pulled me in pretty much from the start. I recognised a few of the characters from the previous films (and one or two from the other comics) and it was really interesting to see the future X-Men having banded together to fight a common foe so many years in the future. I’m wavering a bit between Wolverine and Raven as my favourite characters. This film and its prequel made Mystique a much more well-rounded character, in my opinion. I liked the hints that Charles still had some very strong feelings towards her as his adopted sister and I really liked their interactions with each other. Dealing with time travel is, in my opinion, always quite difficult. There aren’t many things that deal with time travel well, but I felt there was a fairly good explanation in this film. I would have liked to see more of Alex and the other mutants. There were some pretty intriguing powers there that I would have like a bit more explanation of. There were some quite funny moments in the film, though my brother and I both agreed that this had a more serious tone than the previous film. I liked how Charles and Erik interacted with each other, but I have to say, I really liked Pieter (I believe that’s the correct spelling). He’s one I would have definitely liked to see a bit more of. I felt that there were a lot of tense moments in this film. As I stated earlier, I was pulled in from the start – and stayed pulled in. This film does quite a good job of bridging the prequels with the films that were previously made, at least in my opinion. I felt that the actors did a really good job in this film and there were others that I recognised, too, like the actor who played Trask – he also appears in Game of Thrones as Tirian. I do recommend watching this film, but it’s probably good to have at least some knowledge of the previous ones for this to make sense. Also, an additional note – there is an extra scene after the end of the credits. So keep that in mind before leaving once the credits start. Although this was a shorter book, I did find myself quite enjoying it. 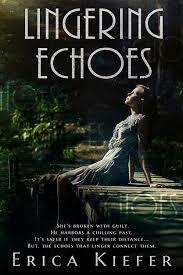 It was quite an intriguing paranormal romance. I really did like the relationship between Noah and April, though I think I would have liked to see a bit more of how their relationship was formed, but I did feel like how they felt about each other came across easily and naturally. The information about the dragon shifters and their hoard was pretty interesting, too. And I liked how many different kinds of creatures there were. I did notice, however, that there was a bit that was kind of contradictory with one of the characters. I did think that both of the main characters in this came across as quite well-rounded, despite the fact this was a novella. I also found the main villain in this book to be quite interesting. I’d like to see a sequel focused on the particular relationship (or maybe lack of) that was hinted towards the end of this book. I did find this book to be quite well-written and easy to read. I would definitely be interested in reading the other books in this series soon. Although it is part of a series, I feel it does work quite well as a standalone. Ideally, I’d give this book 4.5 stars. When I first read the blurb, I thought it sounded really interesting, but I was a bit put off by the suggestion that the romance occurs very quickly. I have to say, though, I was pleasantly surprised. From the very first page, I was drawn into this book. Kestrel was a really well-written character and I liked reading about how she interacted with the people around her. The relationship between her and Arin formed naturally and I really felt myself believing it. I particularly liked the fact that this book was very much more about intrigue. Kestrel’s intelligence and observation skills came across really well, but she certainly wasn’t all-powerful. 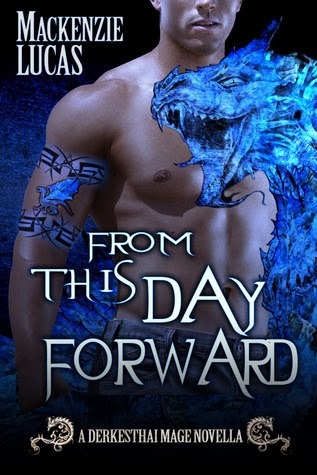 All in all, I felt that most of the characters in this book came across as really well-rounded, with emotions and feelings that made sense and realistic strengths and weaknesses. The contrast between the two different peoples came across really well, though by the end, there were a lot of similarities. It was really easy to empathise with the characters and care about what happened to them. There aren’t too many books that I struggle to pull myself away from now, but this was definitely one of them. I did notice one or two errors in the writing, but nothing that was really major. I could easily picture what was happening inside my head. I would recommend this book as one to read. It’s well-written with engaging characters, at least in my opinion. And I will definitely be reading the next two books in this trilogy when they come out. 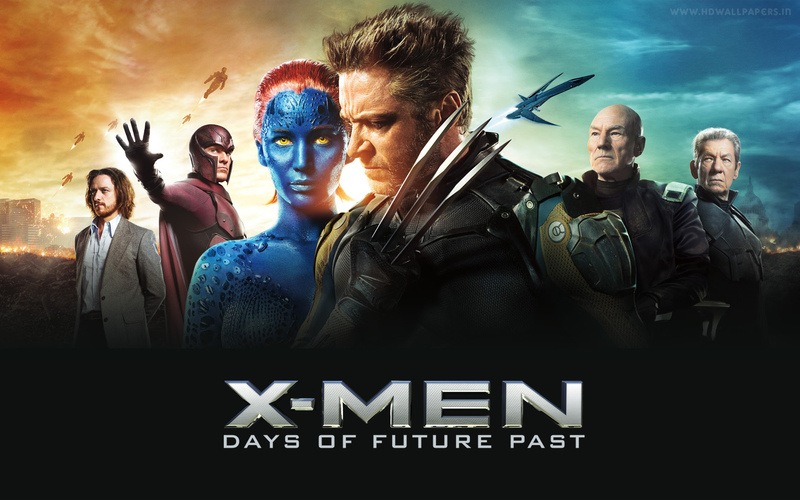 In preparation for going to see X-Men: Days of Future Past, my brother and I have just watched this film – or rewatched, in my case. 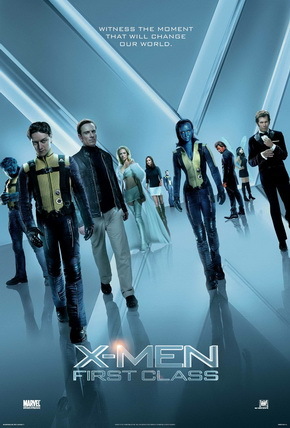 I think the X-Men are one of those really iconic groups of superheroes. My sister and I saw the first one at the cinema. We actually went to see it twice, the second time because we wanted to see if a particular actor was in it. I think, to date, I’ve now seen just about all of the films. Considering I’d got to know the characters from their previous appearances, it was fairly interesting to see them as their younger selves. Charles was a completely different person to how he is later and I really liked how his relationship with Mystique came across. There was also an explanation about how Mystique still looks young in the films set much later. Another thing I felt was handled quite well was the relationship between Erik and Charles. In the original films, it’s clear they used to be friendly with each other and I felt their friendship came across really well here. I particularly liked the actors, too. I’ve seen James McAvoy in quite a lot of things before, so I knew already he was a fairly good actor. I liked the variety of different abilities the other characters have, though I’ve always wondered why there never seem to be duplications. Some of the powers are similar, but all of them are different in some way. (As an example of what I mean in reality – green eyes are technically a mutation, but a lot of people have them). I liked the other characters in this film, too. The training scenes worked really well to show their interactions with each other and it was really cool to see Wolverine/Logan appear, too. Even if you haven’t seen the previous films, I’d recommend giving this one a chance. It’s entertaining and has some pretty good actors. In my opinion, it’s worth seeing if you like this particular genre. (I received a free copy of this book from Curiosity Quills Press in exchange for a review). This book was actually longer than I’d expected. 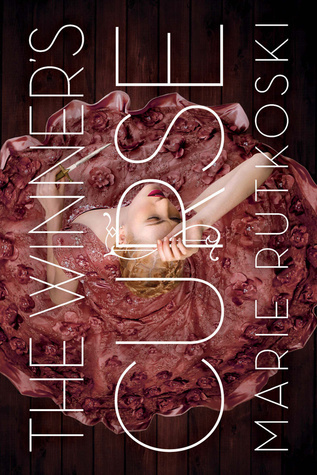 I was really intrigued by the plot idea and as I began reading, I found that it was as good as I’d expected. Although the ideas in this book weren’t original ones, they were utilised in a really original way. I did get a bit confused with all of the characters at times, but by the end of the book, things made a lot more sense. I really liked Nina and Joey especially, though Joey did take a little while to grow on me. It helped that he wasn’t just all about the money and taking on the mercenary jobs. I wasn’t really sure what to make of Alex, though. He was a strange character. I would have liked to see a bit more of him in the real world, so I could get a better read on him as a person. I also really liked Masuro and Katya. I would have liked to see more of both of their history, though there were hints about it throughout the book. The idea about the dolls and AI were really intriguing, though I did get a bit confused with all of the different types and trying to keep it all in my head. There were also periods where I was confused between the real world and the virtual one. The food idea was a bit cringe-worthy. That’s definitely not the kind of thing I would find appealing, whether it was changed from its original appearance and texture or not. I particularly liked the relationships that formed through this book. I found them all believable and that they evolved in a way that made me want to read more and see how things went with them. A lot of what happened in this book, I wasn’t expecting. I didn’t see many of the things coming. I also found myself getting amused by various comments that were made by characters. I felt that the characters did have their own lives outside of the story and that came across really well – especially Kenny with his daughter. Their emotions and feelings were really and made me able to empathise with them. I would definitely be interested in reading a sequel to this book at some point in the future. I had to think about what rating to give this book. In the end, I decided on four stars. This book was fairly well-written and easy to read, but I had a few minor issues with it. Archie’s character was fairly interesting, but I felt there wasn’t really much revealed of his character. It almost felt as if I’d come in partway through the storyline, though I’m not sure if there were any books preceding this one. The other characters were fairly well-written, though a few seemed unnaturally hostile. The police work was quite intriguing and the mystery kept me engaged long enough to keep reading throughout the book. 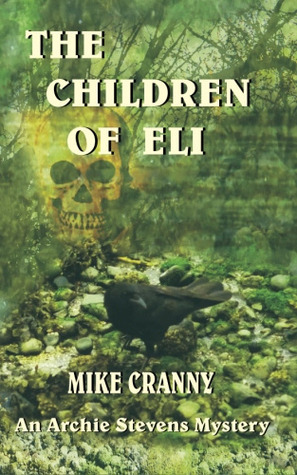 I do think there wasn’t enough information given about the Children of Eli. Even by the end of the book, I didn’t know much more about their history than I had while reading. I did like the fact that not all of the characters’ motives were black and white. A few acted in unexpected ways that still worked for them, sometimes even going completely against the opinions I’d formed of them. There were parts of this book that managed to surprise me. I didn’t see everything coming. I did really like Delia as a character. I would have liked to see more of her. Streya was a really strange character. I’m still not sure what to make of her. The supernatural/paranormal elements were fairly interesting, though I would have liked to see a bit more of them. I did also notice a lot of summarising of what people were saying, rather than their dialogue being written out. I would probably be interested in reading the other books in this series at some point in the future. It would be nice to see more of the characters.